+ New interesting weapons. You’re now able to kill an abomination without molotov! halleluja! get a magnum, or auto-rifle, add laser sight on your gun… some interesting loot, but it would have been cool to add more craftable weapons and equipment. + The zombivore mod allow your character to come back as zombies when killed. zombie players have a lot more HP, but have 1 less action per turn. This rule is interesting when playing with friends, and there is a good feeling with zombie players gameplay. We really felt it slow but tanky. – Some scenario added are interesting, but half of them can’t be played without Prison Outbreak base game. – The price still seems to me a little high for the few content added. If you’re fond of zombicide, just get it. It’s a good extension and the price shouldn’t dissuade you. If you don’t play Zombicide that much, keep your money! I originally posted this house rule on Toxic City Mall extension page. But i wanted to share it with the whole zombicide community. This is a list of character ideas you can add to your games. I didn’t try them all yet, and i will sometimes update this list, adding new roles and deleting the one not working or ruining some fun. – The illusionist : When power activated, you take back, shuffle and deal again all other roles. It is quite an interesting character when you feel that roles are too easy to identify. – The little red ridding hod, and the wolf : When the little red ridding hod activates his power, the player gains 5 golds. But, the wolf can activate its power too. If the wolf power is activated, the wolf gains 5 golds instead of the red ridding hod. – The chaplain : when its power is activated, put a glass at the center of the table. every player owning at least 1 coin have to shoot a coin in the glass. If a player succeed, he can take back his coin. All coin failed go to the chaplain. – The banker : when its power is activated, the banker can save up to 5 coins for the rest of the game. powers can’t steal these coins until game ending. Not really cool to play with many coin stealers (thief etc…). 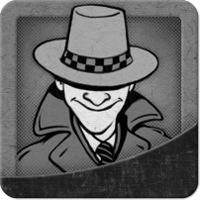 –The police officer : you can only activate its power when a player is being stolen pieces by another player. You get the stolen coins + 1 more from the thief. Then switch (or not) your role and the thief one. – The Professor (new) : when its power is activated, the professor choose a theme (it can be be anything, an african country, or a beer name). Then, starting with the one at the left of the professor, all other players have to give a correct answer to the theme. The first one failing have to give 4 gold coins to the professor. – The Unlucky (new) : If a player reveals this card, he lose all his gold coins. – I sometimes add a rule where a player can use all his actions in a turn to find a hideout on his current Tile. The character doesn’t make noise anymore, and zombies ignore him as long as he stays hidden. – An other funny rule, is to start the game as if all survivors were prison escapers. And they are handcuffed 2 per 2. All handcuffed players have to both use a move action to move on adjacent zone together. They always have to be on the same zone. Moreover they have 1 less hand usable while handcuffed. If handcuffed survivor find an axe / chainsaw / machet, he can spend 3 actions to cut the handcuff and play normally. Of course this rule is more funny if no one survivor starts with Axe. Game Designer & Programmer in video games, I have a huge passion for all kinds of boardgames.